On this show we explore the Health and wellbeing industry. Do we exercise enough? Do we eat the wrong foods? Do we rely too heavily on the medical profession to put right our wrongs? Are we really taking responsibility for our own health? Will the Apple watch, or any of these new technology apps change the way we consume health? And what about the cost of healthcare that consistently outstrips GDP growth by 2% per year. All of this compounds a pretty desperate set of circumstances facing politicians who have to find money to continue to fund healthcare if they are to stay in office. So what can be done? 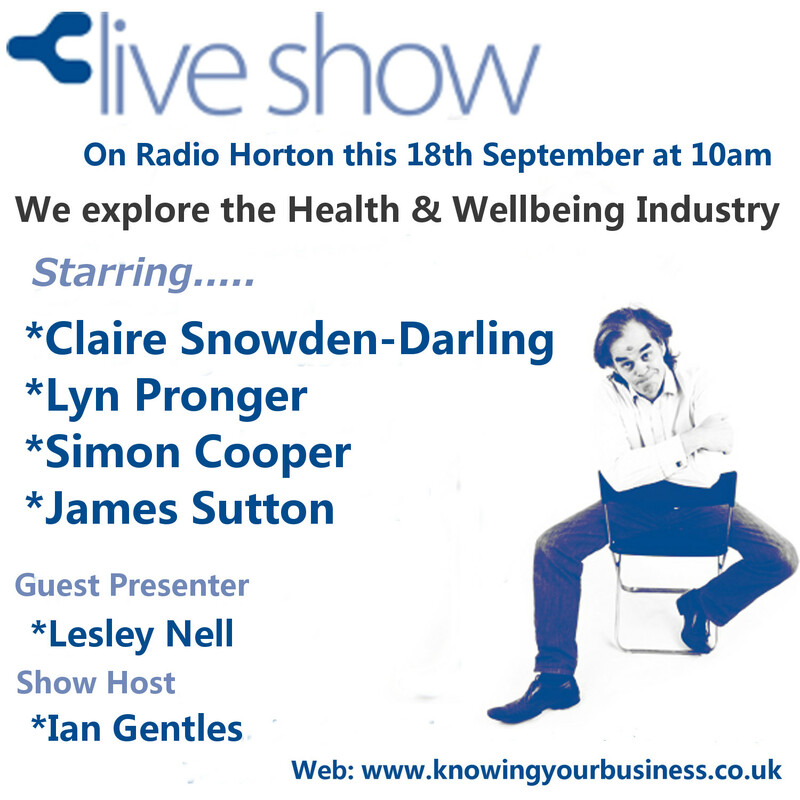 We’ll try to unearth some of the answers whilst also looking for health tips from the experts. After tasting a slice live on air, the remains were taken to maternity and the Scbu wards in the Horton General Hospital for the hard working staff to enjoy. Helping to build their global Consumer Health Practice. Simon brings a client-side development scientist view to the business, combined with marketing and healthcare advertising experience, across almost 15 years of involvement in Consumer Healthcare brands and services. Founded in 1986, The Value Engineers has 25 years experience of strategic brand consulting. Their purpose is to engineer real and enduring value for brands and brand owners through their practice areas of Branding, Strategy, Innovation, Insight, Customer Experience and Capabilities. They work across the globe from two bases in London and New York. Last year they completed 109 projects for 53 different clients in 39 different countries. James Co founded Butterflies Healthcare Ltd in 2006 to bring a select range of quality optical products to the UK market, to increase patient choice and availability. James has over 20 years experience as a high street optician. He applies the knowledge he has gained during this time to offer advice on a range of optical matters including prescription swimming goggles and diving masks, dry eyes, blepharitis, macular degeneration and eye vitamins. He also manages all of Butterflies Healthcare websites and IT. In the case of their key brands they supply direct to pharmacies, opticians and health stores so they may be available in your local area. If you are a retailer and do not stock their products already, you can contact Butterflies Healthcare on 0333 700 6704 to place an order and become a stockist. They sell most items through high street opticians and pharmacies or direct by mail order either over the internet, by phone or post . They also have a business premises in Warkworth near Banbury. People are concerned about conditions such as cataracts and glaucoma but are less concerned about macular degeneration. Claire founded Balanced Wellness in August 2008 as a bespoke clinic and the first Kinesiology clinic in Havant, Hampshire. This busy and thriving health practice requires all aspects of business management from financial control, stock ordering, retail up selling, marketing, client relationship management and correspondence. Claire was joined not long after by Laura Knowles and they quickly gained a reputation for offering a professional, effective approach to health. In 2012 Balanced Wellness evolved into a community of Kinesiology practitioners who all share the same values and vision. Claire regularly tutors and lectures on all issues of business, and health and wellbeing, also providing accredited training courses in a variety of subjects.